An instant boost of energy in the shower with the refreshing Yves Rocher Energizing Bath And Shower Gel Raspberry Peppermint. The pleasure of a gentle bath & shower gel with energizing benefits. Enriched with soothing organic aloe vera, raspberry, and peppermint, this shower gel is a sparkling cocktail of energy and freshness. About the Brand: A worldwide cosmetics and beauty brand, founded in 1959 by the French entrepreneur Yves Rocher (19302009) in La Gacilly, Yves Rocher offers an impressive selection of botanical beauty products: skin care, makeup, body care, fragrances, hair care, bath and shower products. Based on the richness of the botanical world and its infinite potential, the brand respects your skin and that is also respectful of nature, limiting its impact on the environment and, every day through its actions, actively taking part in the protection of biodiversity. Explore the entire range of Shower Gels & Body Wash available on Nykaa. 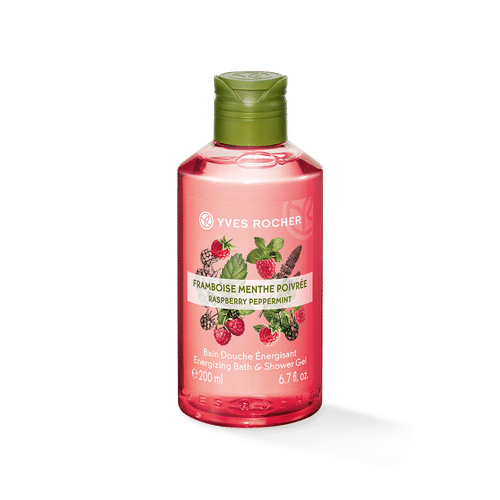 Shop more Yves Rocher products here.You can browse through the complete world of Yves Rocher Shower Gels & Body Wash .Alternatively, you can also find many more products from the Yves Rocher Energizing Bath And Shower Gel - Raspberry Peppermint range.